Steve has been with the Club since September 2014 when he joined us a National Squad Coach. 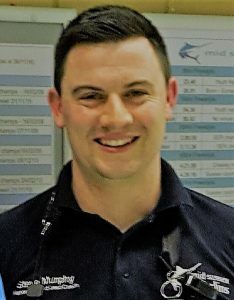 In 2018 Steve also took on the role of Head Coach, a role which he undertakes alongside coaching of the National Squad. Nic joined Mid Sussex Marlins in January 2013 and soon became a favourite with our younger squad swimmers. 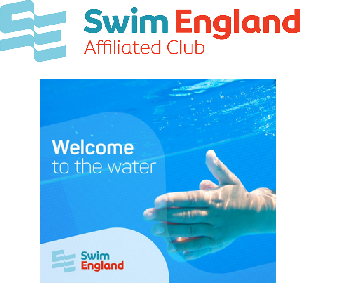 Nic is Age Group Coach responsible for our County Development, County and Regional swim squads. Nic is also now overseeing technical development matters. Nic is supported by Assistant Coaches; Louise Gale and Lee Hammond. Pauline Draper / Carolyn Heeley – Disability swimming Pauline Draper: As a paediatric physiotherapist at Chailey Heritage and a swimming teacher with Burgess Hill & District SC, I was able to combine the experiences gained in both to help set up the Dolphins Squad back in September 2000. The motivation came from wanting to help those with disabilities reach their full potential in swimming, and it has been wonderful to see how the swimmers have developed over the years. One or two from the squad have reached National level but there have been others who have achieved just as much by learning to swim independently, having previously needed support from people or flotation aids. Retirement from Chailey looms but I shall continue to be involved with Dolphins for as long as I can. Tim is a chartered accountant, recently retired after a career in senior financial and management positions with businesses mostly in the technology sector. 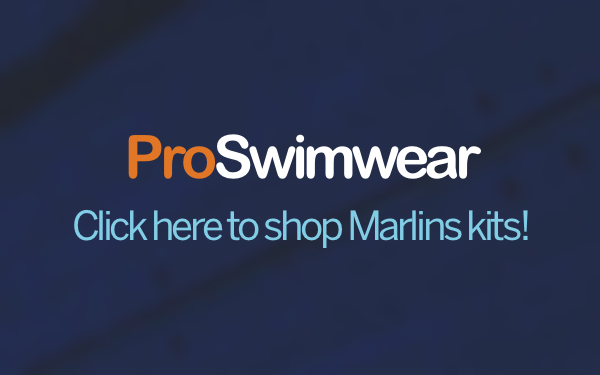 He is a lifelong swimmer- having belonged to over a dozen clubs in the UK, Australia and France – and has been a member of Marlins and its predecessor club since moving to Haywards Heath in 1990. He is married with 4 adult children all of whom have swum and played water polo at the club. 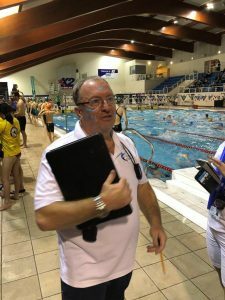 In addition to swimming and playing water polo himself, he has been a longstanding committee member, holding various roles including treasurer and auditor. He currently assists in coaching and administering the water polo section. 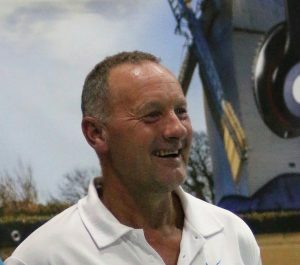 Outside the club he sits on the Sussex county water polo committee and is currently secretary of the SE Region Modern Pentathlon Association, having previously served as chairman. He is a Trustee and treasurer of the Yews Community Centre in Haywards Heath and auditor to several other small local charitable organisations.